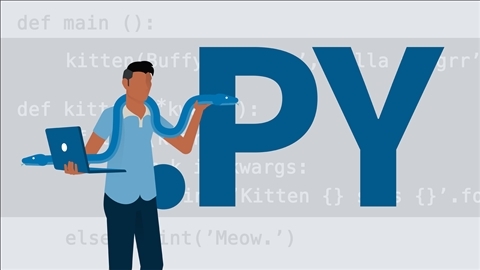 Quickly learn the general programming principles and methods for Python, and then begin applying that knowledge to using Python in data science-related development. 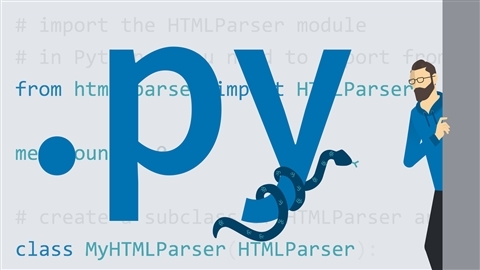 Learn the basics of Python as an object-oriented programming language. 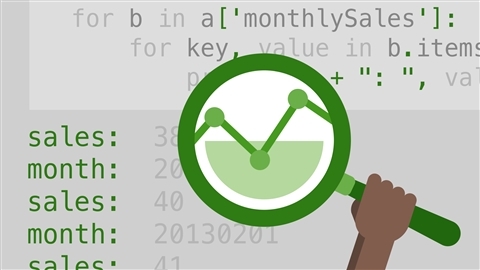 Apply Python coding skills to analytics uses. Explore the Python scientific stack of tools. Get started with Python, the popular and highly readable object-oriented language. 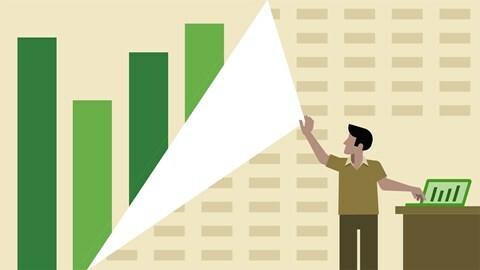 Learn to use Python to prepare and visualize data, and then apply machine learning methods to generate predictions from it. Learn network analysis and web-scraping basics. 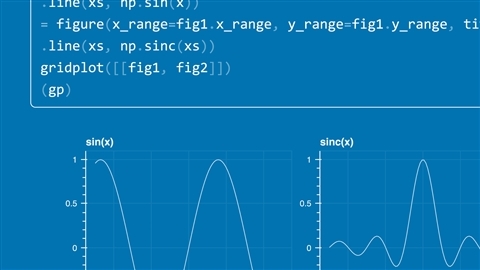 Learn how to analyze and make sense of data using open source Python libraries. In this hands-on course, learn how to use the Python scientific stack to complete data science tasks. 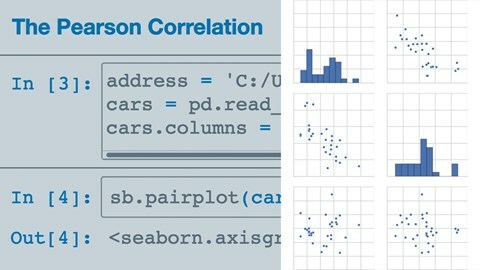 Find out how to work with Pandas for data crunching, matplotlib for data visualization, NumPy for numeric computation, and more. Interested in using Python for data analysis? 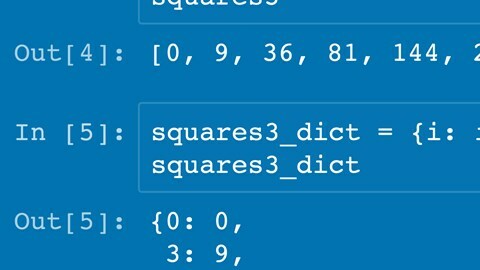 Learn how to use Python, Pandas, and NumPy together to analyze data sets big and small. This course provides twelve techniques for how to work with data using Python. Learn how to explore data, ingest data, visualize data, and more. You'll learn Python skills with these experts. Joe Marini is a senior developer advocate at Google and a developer of Dreamweaver and Windows Phone. Joe Marini is a senior developer advocate at Google, and has worked in the web and software industries for more than 20 years. He was an original member of the Dreamweaver engineering team at Macromedia, and held prominent early roles in creating products such as QuarkXPress, Microsoft Expression Blend, mFactory's mTropolis, and Extensis QX-Tools. He is regularly a featured speaker at industry conferences and has authored or co-authored several publications on web and software development. Prior to Google, Joe was responsible for the mobile web developer platform for Windows Phone 7 at Microsoft. His book, The Document Object Model, is widely regarded as the definitive resource for working with the DOM. Bill Weinman is a tech advocate, entrepreneur, and expert in a programming languages such as C++ and Python. Bill Weinman is the author of several books and online courses on the technical aspects of the World Wide Web. He has earned a reputation for his ability to explain complex topics in clear, concise terms. Mr. Weinman built his first computer in 1973, and has been involved with technology ever since. He has run a successful consulting practice, been a computer manufacturer, and most recently headed a hosting company. An accomplished guitarist, Bill performs and records music when he's not writing about computers. You can learn more about Bill, his projects and his music at http://bw.org/. Lillian Pierson, P.E. is a leading expert in the field of big data and data science. She equips working professionals and students with the data skills they need to stay competitive in today's data-driven economy. Lillian has recently become a data science instructor for multiple courses on LinkedIn Learning. She's also the author of several highly-referenced technical books by the John Wiley & Sons, Inc. publishing company—including Data Science for Dummies (2017, 2015)—and has spent the last decade training and consulting for large technical organizations in the private sector, such as IBM, BMC, Dell, and Intel, as well as government organizations, from the US Navy down to the local government level. As the Founder of Data-Mania LLC, Lillian offers online and face-to-face training courses, as well as workshops and other educational materials in the area of big data, data science, and data analytics. Timothy Fox is a consultant, author, and speaker on the topics of big data and data science. From big banks to tech startups, Tim has engaged his programming chops and data science knowhow to solve practical data science problems. With strong skills in Python, R, Hadoop, Spark, and other related technologies, he also engages in speaking and training in a variety of data science and big data related topics. Tim is a principal at Elephant Scale, a specialized consulting and training company on big data. Miki Tebeka is the CEO at 353Solutions. Michele Vallisneri is a theoretical astrophysicist at NASA Jet Propulsion Laboratory. He obtained his PhD in physics at the California Institute of Technology in 2002. His research spans the detection and interpretation of gravitational waves with LIGO, in space, and with pulsar timing. He is an expert in data analysis, Bayesian inference, and computational physics, and he believes that elegant, transparent programming can illuminate the hardest problems. He is a Fellow of the American Physical Society, and he was awarded the NASA Exceptional Scientific Achievement Medal. As a lifelong data geek, Ben Sullins dedicates his time to helping others use data wisely. Ben makes information meaningful and has fun doing it. His background affords him a unique set of knowledge that sets him apart in the data community. Since the late 1990s, he has consulted many high-tech companies, including Facebook, Microsoft, LinkedIn, Cisco, Mozilla, Pluralsight, and Genentech, on democratizing data in their organizations. Moreover, Ben spent three months leading the charge at Facebook to grow its data culture by demonstrating proper tool implementation and data visualization techniques using Tableau. And with this expertise, Ben aims to provide exceptional service to his customers by enriching their lives with impactful smart data. Learning Paths are big commitments. Keep your goal in focus by taking one at a time. 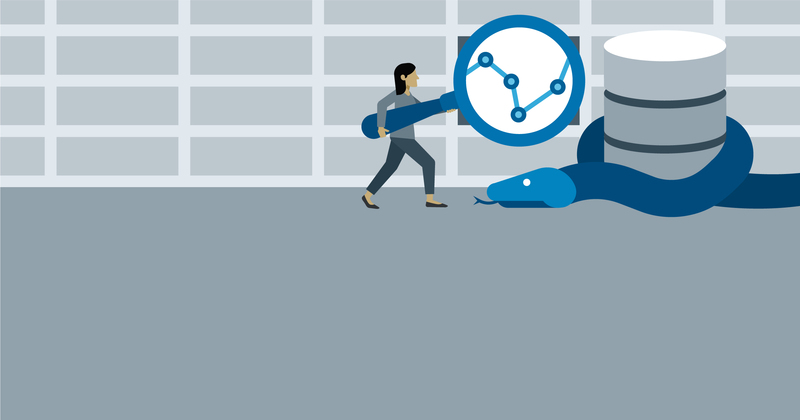 Starting Master Python for Data Science will pause your previous path and save your progress.